Tequila – A Bit of History, No other liquid is surrounded by as many stories, myths, legends and lore as tequila and its sister beverage mezcal. As wine and whisky have taken their place in modernized western culture, so too has tequila. Once only a drink for bandidos and rancheros, tequila is as much at home in the fist of today’s business yuppie as a cup of Starbuck’s coffee. While plenty have sampled various breeds of this zesty spirit in the form of a margarita, many more are discovering that good tequila is a drink to be enjoyed like a fine cognac or scotch. Many have put away the salt shakers and sliced limes—they sit down, relax and savor the taste of liquid fire…sip by sip! As North America’s first distilled drink, and its first commercially produced alcohol, tequila’s history is long and rich. Its roots reach back into pre-Hispanic times when the natives fermented sap from the local maguey plants into a drink called pulque. The history of tequila’s development from the traditional beverage to the modern spirit parallels the often turbulent, chaotic growth of Mexico herself, and is equally obscure to outsiders. Mezcal wine, tequila’s grandparent, was first produced only a few decades after the Conquest that brought the Spaniards to the New World in 1521. It was variously called mezcal brandy, agave wine, mezcal tequila and finally simply tequila—appropriately named after Tequila, a small town in a valley in Jalisco state, México. Distillation of pulque, tequila’s distant ancestor, into something stronger may have originated by the Conquistadors as early as the 1520s. After the Conquest, the area around today’s Jalisco state was originally called New Galicia by the Spanish conquerors. The community we now know as Tequila officially became a village in 1656. In the 1700s, mezcal wines became an important product for export because the town of Tequila lay on the route to the newly opened Pacific port of San Blas. The first licensed manufacturer was a gentleman by the familiar name of José Antonio Cuervo. 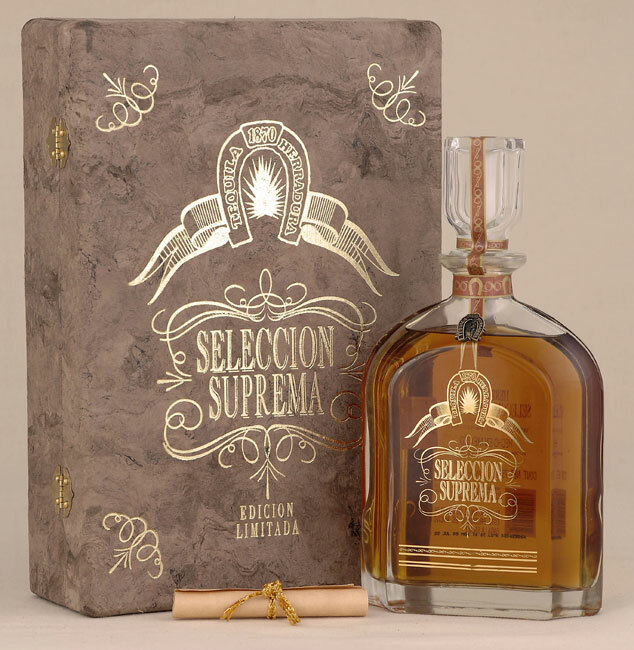 Sr. Cuervo received the rights to cultivate a parcel of land from the King of Spain in 1758, and the rest is history. However, tequila did not achieve its prominence until after 1821 when México attained independence, and Spanish products were more difficult to obtain. 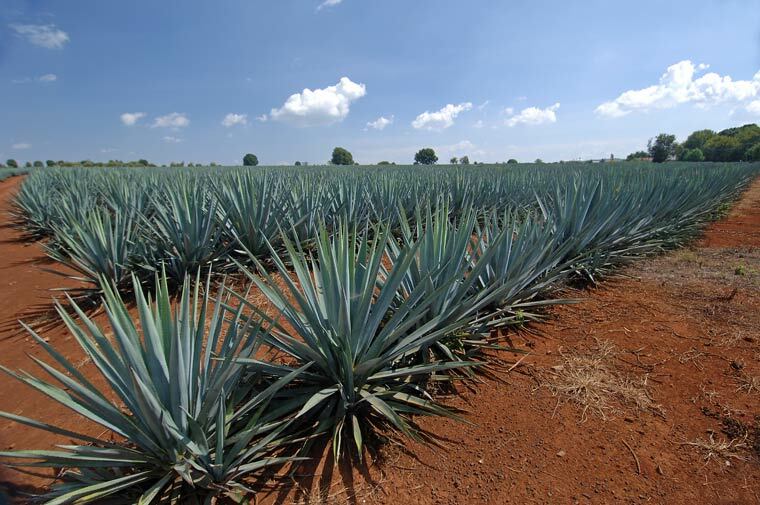 By the middle of the 19th century Cuervo’s fields had more than three million agave plants. 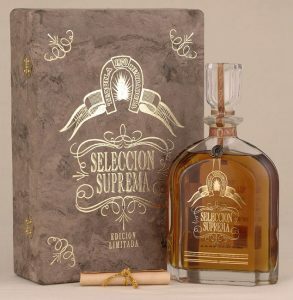 By 1880, Cuervo was annually selling 10,000 barrels of its tequila in Guadalajara alone. Today, Cuervo is the largest manufacturer of tequila, with a huge export market. Other distilleries established during the 19th-century that are still flourishing today include Tequila Herradura and La Preservancia Sauza. Tequila gained national importance during the Revolution in the early part of this century, when it became a symbol of national pride. The passion for French products was replaced by patriotic fervor for Mexican goods. Prohibition in the USA further boosted tequila’s popularity when it was smuggled across the border. Then during World War II, the demand for the Mexican sprit rose again in the USA after spirits from Europe became hard to obtain. Efforts to regulate the industry also grew in this period, with two groups created between the two world wars, eventually evolving into today’s regulatory organizations. In 1944, the Mexican government decided that any product called “tequila” had to be made by distilling agave in the state of Jalisco. The first standards for tequila were documented in 1947 and have been upgraded and revised ever since. No tequila may be made from less than 51% agave tequiliana Weber, variety azul. Most top-of-the-line tequilas are made from 100% blue agave, a fact that is always shown on the label. There is also a non-profit council called the Chamber of Tequila Producers, which regulates the industry. Although tequila has found it’s way into much of México’s history and folklore, it is interesting to note some of the myths and confusion still associated with tequila today. Few understand the difference between tequila and mezcal, and many don’t even know there is a difference. While traditionally, all tequilas were known as a type of mezcal. Today, they are distinct products, differentiated by the production process and taste, much the same way rye whisky differs from Scotch whiskey. 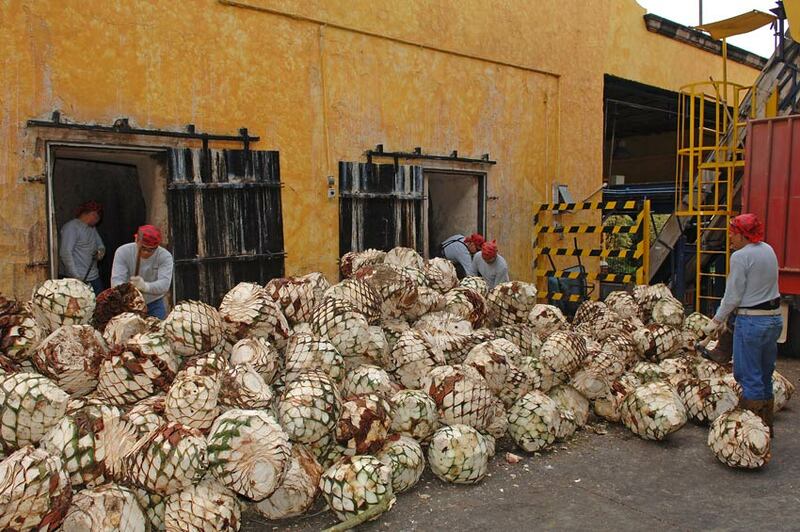 Most mezcal is made today in the state of Oaxaca, although some is also made in Guerrero and other states. Tequila comes from the northwestern state of Jalisco (and a few nearby areas). They both derive from varieties of the Agave plant, known to the natives as mexcalmetl. Tequila is made from only agave tequilana Weber, blue variety. Mezcal, on the other hand, can be made from five different varieties of agave. Tequila is double distilled and a few brands even boast triple distillation. Mezcal is often only distilled once. To make mezcal, the sugar-rich heart of the agave called the piña, is baked in a rock-lined pit oven over charcoal, and covered with layers of palm-fiber mats and earth, giving mezcal a strong, smoky flavor. 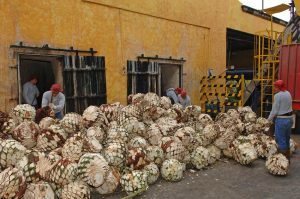 Tequila piñas are baked or steamed in aboveground ovens or autoclaves. Tequila and mezcal share a similar amount of alcohol in the bottle (around 38-40%), although mezcals tend to be a little stronger. Because mezcal feels a little more like lava as it flows down the back of your throat it is not quite as popular. This is evident in the number of brands of each type of drink. Currently there are over 500 different brands of tequila while the manlier mezcal boasts only 100 brands. Yes, you’re supposed to eat the worm in mezcal. Don’t worry: it’s quite well pickled and free of pesticides (they’re often raised just for use in mezcal, cooked and pickled in alcohol for a year). But dispel any idea it has any magical or psychotropic properties, that it’s an aphrodisiac or the key to an “unseen world.” It’s merely protein and alcohol—but it’s very rich in imagery. Another common misunderstanding is that tequila is made from a cactus. The reality is that tequila is made from distilled sap from hearts of the agave plant. This plant is actually related to the lily and amaryllis. It is known as a succulent and, although it shares a common habitat with many cacti, it is not one itself. A mature agave has leaves 5–8 feet tall, is 7–12 feet in diameter and has a life span of 8–15 years. We appreciate the help of Tequila’s House Liquor Store and Pancho’s Restaurant and Tequila Bar for providing various bottle of Tequila we photographed. 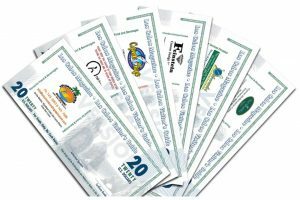 Special thanks is given to Tequilero, John Bragg, of Pancho’s for assistance in preparing this article. Some of the bottles photographed are from their 500 bottle collection. Visit their website at www.panchos.com. Tequila is sold in many stores in Cabo San Lucas and the Los Cabos area of Baja California Sur, Mexico. Visit our Los Cabos Shopping Guide for general shopping information and to find the locations of stores that specialize in the sale of Tequila in the area.